Vinylmax window replacement in Carrollton. Windows made right are windows that work right. When you work with Ben Hill Renovations for your Carrollton window replacement, you can rest assured that you are investing in strong, quality windows. Most of the windows we have installed are Vinylmax windows, which are proudly made in the USA! These windows have Smart Shield energy efficient glass made by Cardinal Glass, the world’s largest glass manufacturer, and they are industry standard in insulation and spacer systems. 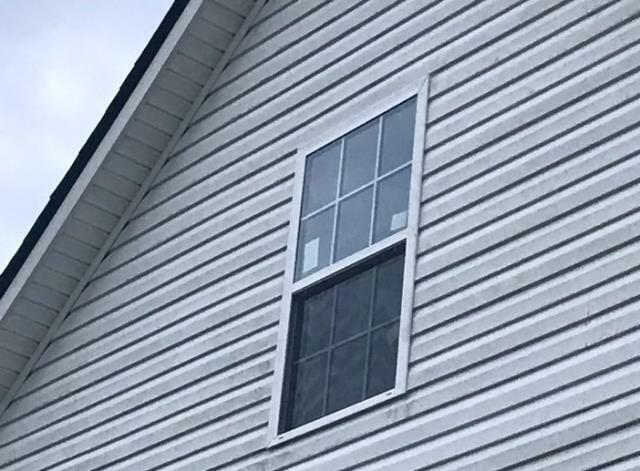 For more information about window replacement for your home or business in Carrollton, Georgia, contact Ben Hill Renovations. Siding can be the deciding factor for a prospective homebuyer when they see your property. Perhaps you do not have any intention to sell your house anytime soon. That is understandable. However, even if that day is not soon, or even if you never sell your house but pass it on one day as inheritance to other loved ones, you can start sowing into the value of your house today. Every aesthetic and every structural improvement to your home adds to the overall value of your property, and in the case of selling especially, there is perhaps nothing as representative of the overall appearance of your home or business as the outside siding. You want it to not only look good, but for it to be able to withstand the wails of weather and age. You want your siding strong and you want your siding installed right. This is why Ben Hill Renovations provides siding renovation services to the city of Carrollton. Learn more about your siding installers in Carrollton. Roofs come in so many forms. Many of us have seen the traditional tiles of asphalt shingles, but there are many unexplored options. Wood shingles are a great option in some cases. Wood shingles are easy to install and repair; they have a very natural look and they can last a long time if maintained well. With that said, they are high maintenance especially with fire-resistance treatment and relatively expensive to install. Metal roofs are also expensive to install, but they are lightweight, durable, much more environmentally friendly, low maintenance, and they come in many colors. Decks can be classified as front decks, back decks, or all-around 360 decks. There is much thought put into each of these according to their nature. Front decks are the first thing that people see when they drive by your property, whether it be your home or business. Therefore, often these are richly decorated to appear welcoming and inviting. Often, front decks are decorated with chairs, swings, or some type of seating. Back decks, on the other hand, are often times more private and homey. Generally, back decks are much larger than front decks and sometimes much more exotic and much more involved. To learn more about making your custom deck in Carrollton with Ben Hill Renovations, contact us today. Exterior Renovations of any kind in Carrollton is our specialty!